Mimecast’s latest Email Security Risk Assessment study found the number of malicious URLs in emails had increased by more than 125 per cent in comparison to last quarter’s results. Almost half (45 per cent) of the study’s 1025 respondents said the volume of these URL-based attacks or those with dangerous attachments have increased over the last year. The latest report also found almost 25 million spam emails, 26,713 malware attachments, 53,753 impersonation attacks, and 23,872 dangerous file types of the almost 232 million total emails inspected were all missed by incumbent security solution providers and delivered to inboxes. This put individuals and organisations at risk, Mimecast said. “Email and the web are natural complements when it comes to the infiltration of an organisation," said Matthew Gardiner cybersecurity strategist at Mimecast. “Email delivers believable content and easily clickable URLs, which then can lead unintended victims to malicious websites. URLs within emails are literally a point of intersection between email and the web. Organisations need the visibility across both channels in order to have the protection required to stay on top of today’s ever evolving threats and having a single vendor in in an integrated solution can help. Mimecast said that impersonation fraud also continues to grow with 41 per cent of respondents to the study reporting they have seen an increase in this type of fraud from vendors or business partners asking for money, sensitive information or credentials. A further 38 per cent said they’ve seen an increase in impersonation fraud from well-known internet brands. 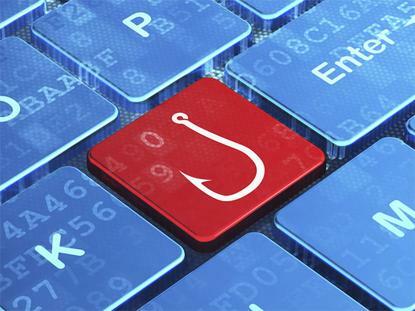 Meanwhile, the lack of effective cyber security awareness training, particularly when it comes to staff inadvertently opening phishing emails continues to be an issue. Mimecast's principal technical consultant, Garrett O'Hara told CIO Australia recently that compliance-driven training simply does not work. Last year, Mimecast acquired Ataata, a security awareness training and cyber risk management platform, developed by the US military, law enforcement and intelligence community, that helps enterprises combat breaches caused by employee mistakes. The company claims that 95 per cent of breaches are the result of human error. "These guys [Ataata] have gone after the Netflix generation and created almost like a sitcom – three to four minute videos, punchy and funny and delivers a simple message ... and mapping that back to [the organisation's] risk profiles before comparing that to the company's industry and vertical market," he said. "Where it gets really interesting is that you can bolt it into the gateway and then you can do things like 'defang' real attacks and use those as ways to measure the behaviour for end users rather than just run a campaign, which is an acceptable approach. "This is more about, 'what is really happening?' It's not one fake email that comes into an organisation, it's asking, 'During day-to-day business, what do our end users actually do when socially-engineered attacks come through?' I think that's an interesting perspective and I haven’t really seen that approach. It’s another data point outside of the standard phishing campaigns," O'Hara said.